The Los Cristianos resort was once just a residential and very small fishing village within the Arona municipal district, situated on the south-west coast of Tenerife. 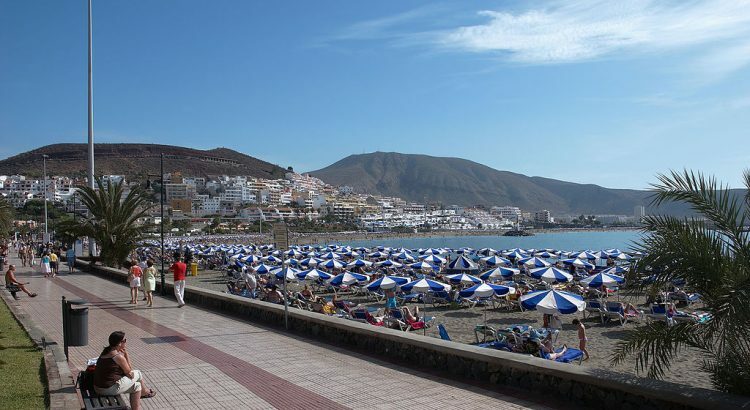 Over the last four decades of all year round tourism, this village has expanded immensely along with Playa de las Americas, a nearby resort which is now the biggest tourist development on this island. 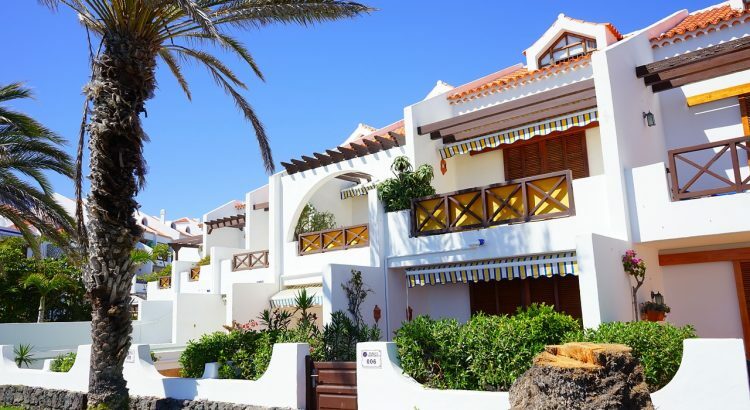 Despite the rapid growth in this area in order to keep up with an insatiable demand associated with touristic accommodation within the town, Los Cristianos has still managed to maintain its strong traditional Canarian heritage, where many locals still proudly choose to call their home. When you fly into Reina Sofia International Airport, which is about 15km to the east, in most cases, the harbour of Los Cristianos is usually the first resort you recognise on the last approach before you land. The short trip to the resort is easy after you’ve cleared customs and collected all your belongings at the arrival terminal. The TF-1, the main Tenerife motorway, will take you to just about walking distance to the middle of this sought after resort. The entire journey will usually take on average around 20 to 30 minutes. However, if you have chosen to pay an added cost for one of the tour operator coach transfers, you will arrive in Los Cristianos within 30 minutes, yet your final transfer will probably be within an hour, sometimes more before arriving at your choice of accommodation. For most people visiting Los Cristianos for the very first time, the unscheduled tours of this town are usually not an issue because it offers visitors an opportunity to get a feel of the town along with what this diverse area has to offer. For those who have visited Los Cristianos before, after already spending at least seven hours on a cramped flight along with the different airport departure lounges, most prefer a more direct route to their accommodation. This is possible through many of the taxis that can be found outside the arrival hall. Even though the taxis operate on fixed prices, these “fixed prices” may vary slightly depending on the how many suitcases you are carrying; taxi fares may also vary on whether it is night or day, and the amount of passengers. However, the general guide for this journey is about 20 – 30 Euros. The first impression of Los Cristianos depends on the route your driver takes for the last few kilometres into the resort. If your route passes the Oasis del Sur area, then this is the more recent area of the resort which includes both holiday and modern residential homes. In most cases, the coach drivers still prefer the traditional “old road”, that takes you to the centre of this resort. Regardless of the route you take, you will probably not realise that the mountain that overlooks this town is actually an extinct volcano. After arriving at your accommodation where you have the time to unpack and unwind from the journey, most guests waste no time in exploring the resort and what is on offer past the hotel or complex grounds. It quickly becomes apparent that the main point of Los Cristianos is the pedestrianised area that surrounds the harbour. From the harbour, traditional Canarian fishing boats can be seen weaving in and out of the large jet foils and ferries that make their regular trips to La Gomera, a nearby island, which is about an hour away, combined with a number of other boats that cater for the tourist market that provide trips to see dolphin and whale colonies that reside in deep waters that run between these two islands. Most of these island excursions offer good value for money in comparison to the trips on offer from the large tour operators. Some of the reasons why these trips are better than the ones on offer from other tour operators is the opportunity to obtain a free ticket if you are travelling with a child or even a free trip on the following day if you failed to see anything on your initial trip. The wide promenade which is traffic free and spans across the resort, starts on the east side of the harbour which is adjacent to Hotel Arona Gran. It continues on for miles until it reaches the centre of Playa de las Americas. From there it runs through Costa Adeje. For the outdoor enthusiasts or for those who love long walks out in surrounding nature, a walk onwards to La Caleta is a great experience. Finally, if you’re considering a Los Cristianos property, we recommend you find a very well established agency who can offer you good guidance in all things property and to give you a good idea. There are some items that you can compromise on but having a clear list of specific items you really need will help you avoid being swayed by attractive pictures or clever descriptions. Having a list of requirements when looking for a house or apartment to buy will help you save money, time and visits to houses that don’t meet your needs. Just like buying property in any other place, buying a property in Tenerife entails some costs over and above its listed price. Considering things such as the mortgage and additional expenses will help you know the total cost in advance so that you may have money set aside to pay the notary, pay taxes and meet the expense of the added value tax ( in case it is a part of the purchase agreement). Added value tax is believed to be borne by the seller by law but in reality, it is borne by the buyer of a property. Some of the properties are offered at bargain prices because they are in a state of disrepair and require the buyer to do some renovation before moving in. Those people who have never renovated a house or apartment may underestimate how much time and money is required to get a house or apartment back to a habitable state. Despite the fact that there are bargains to be had, it’s good to ensure that you seek professional estimates of the building work needed and look for appropriate discounts accordingly. The current economy has made many sellers want to make a buyer purchase a house as soon as possible. Real estate agents are experienced in sales and some of them know how to subtly or not so subtly convince a potential buyer to buy a certain house. However, it is a good idea to always remember that buying a house is not an impulse buy and it is a good idea to take your time before deciding whether or not to buy it. Take a breath and see whether the house you want to buy meets your needs. For instance, it may be good to consider the location of the property, financing and so on. Many expats believe that the coastal areas of Tenerife are good places to live in. Major tourists’ resorts of Las Americas and Los Cristianos glitter after the dull urban sprawls of grey UK cities. However, is purchasing an apartment or house in the tourist district ideal for your family? Once this glitter wears off a little bit, most of the buyers end up reconsidering their buying decisions and relocate to places such as Arico or Adeje town where you can get larger properties at affordable prices. In conclusion, it is good to decide what your needs are, take your time and avoid being pressured to make a quick buying decision. Also, consider the Spanish property portals when looking for property in Tenerife as it may help you find the best property in Tenerife. There are various advantages for people from the UK and elsewhere to purchase property in Tenerife. Not only does the climate offer a summer-like temperature all year round, but Tenerife also offers a low cost of living, beautiful mountainous background and a low-key lifestyle for foreigners and locals. It is no wonder that they name the area the Fortunate Islands. The majority of people are currently exchanging dowdy UK lifestyles for a beautiful sub-tropical climate. Feeling a renewed sense of confidence and wealth, the aspirations of many European forty-somethings, fifty-somethings and sixty-somethings is growing with demand for property in Tenerife, particularly around the south of the island. However, there are specific subtle differences in the property transaction procedures of Spain and its islands; therefore, it is essential that you do research in advance and have a team of experienced professionals to guide you through the purchase. How is property sold in Tenerife? The majority of the property is sold via estate agents, just as is the case in the UK and elsewhere. We recommend you find an established Tenerife estate agent due to their vast knowledge and experience in the property sector of the island. When you see an advertisement or locate a property you would like to view on a property website; you can contact the agent and make an appointment to view the property. If you are interested in buying the property, you will need to make an offer to the relevant estate agent. Property owners in Tenerife are aware of the property market value, but negotiation of the purchase price is typically done via the estate agent. It is common for properties to be sold with furniture and it is unlikely that any formal surveying of the property will take place. This is why you must be careful and use common sense when considering the condition of the property. What Is The Property Purchasing Procedure In Tenerife? If the offer made is accepted by the seller, you will be required to pay a deposit of 10% on average. It is recommended that you appoint an independent solicitor at this point to care for your interests. The cost of a solicitor will vary regarding the value of the property being purchased and the amount of work involved in the transaction; however, a standard apartment purchase would generally include solicitor fees of €1,500 to €2,500. After you have paid the 10% deposit, the solicitor appointed and the estate agent will meet to apply for a “nota simple” from the local Land Registry. A nota simple is a type of document that informs the lawyer of any charges, embargos or mortgages currently existing on the property. Assuming all is well, either the estate agent or solicitor will draft a private contract of purchase and sale that must be signed by the seller and you as soon as possible. While it is common for the contracts to be drafted in Spanish, it is possible to obtain a side-by-side translation in your preferred language. If you have concerns about what you are signing, do not sign! After signing the agreement, you will be legally bound to complete the transaction in the set timeframe and may lose all of your deposit if you do not adhere to the regulations. Once the contract has been signed, the transfer of the property will be completed in approximately four to six weeks. The transaction will be finalised at a local notary’s office where the notary will check and confirm the terms and conditions of the contract. It is required by law that the seller and buyer or their assigned representatives are present. If you cannot attend the meeting, you must grant a power of attorney to another individual who will act as a representative on your behalf. During this meeting at the notary’s office, you will be required to present some banker’s drafts or guaranteed cheques totalling the agreed upon purchase price. If the seller has a property mortgage, you should provide a draft that will be made payable to the seller’s bank as a repayment of the mortgage loan. If the seller of the property is a non-resident, 3% of the purchase price will be paid directly to the tax authorities as sellers not living in the area must pay the amount to satisfy the Spanish tax authorities before having it refunded. All other payments are sent to the vendor from the banker’s draft. You need to be careful when transferring money in Spain as the banks tend to charge large amounts when receiving transfers. It is common for these charges to amount to thousands of euro. What Additional Costs Need To Be Paid? A solicitor will also require sufficient funds from you to cover any costs or taxes arising from the property transaction. Below are some of the additional costs that may occur. Transmission tax can be approximately 6.5% of the overall transaction value, particularly for resale properties. The notary and registration fees are approximately €2,000. A property solicitor’s fees are approximately €2,000 including the changing of utilities. On a property with the value of €200,000, there would be a typical representation cost of 8%; however, solicitors often ask for 10% so you should ask for a list of the expenses with the transaction several months afterwards. It is important to note that new properties purchased, where you are the first owner, will present a 1% property tax and you will not need to pay more than 7% vat. This means that there will be a total of 8%; thereby, an increase in property costs of 1.5%. After all this, you should now be the owner of a dream home in a sunny climate where the council tax amount should be approximately €100 per annum. If you reside in a community, however, you will be required to pay a community maintenance fee to maintain the gardens, the pool, the lifts and any other communal resources. The final piece of information offered when purchasing a property in Tenerife is to draft a will. As you will be making several visits to solicitors and at least one visit to a notary, it is recommended that you draft a will while in Spain. It does not cost a great deal and can spare loved one’s problems if any problems occur. It is also recommended that you apply for an NIE number. This number assists with registration and needs to be done before a property purchase is conducted. Be aware that there are scams in the property sector and ones like Lupain Properties are very well known and documented by the authorities.